The European Union needs to undergo a revolution founded on “pragmatic wishful thinking” that will make it more modern, global, networked, and effective. But for “EU 2.0” to become possible, says Kalypso Nicolaïdis, there must be a new governing idea for the European project: sustainable integration. 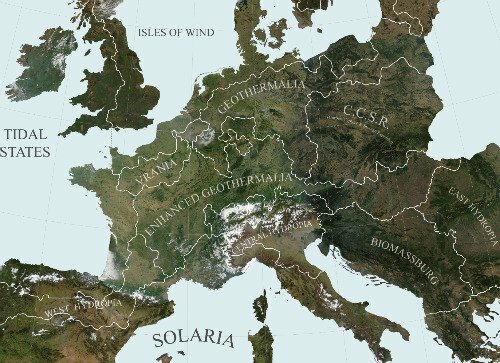 At a time when Athens is in turmoil, Berlin in angst, London in retreat, and the euro dissolving, the continent's predicament leads us back to a familiar question: what future can and should Europe create? Are there alternatives to the all-too-familiar answers of a core Europe for the few, or an ever-closer federal European Union for all? Can we temper caution with boldness, pragmatism with self-conscious wishful thinking? Can we say? After more than five decades of laying the foundations and growing to continental size, the age of Europe’s maturity is at hand. Can we say? The time for EU 2.0 has come. In the new geopolitics of the 21st century, in a new era of distributed intelligence and diffuse power, the EU will be 2.0 or will not be. Its motto: It is urgent to act long term. Officialdom offers us partial glimpses. Alongside the formulation of immediate policy responses to the troubles in Greece and their reverberations across the eurozone, the EU summit in June 2010 also focused on developing longer-term strategies alongside the European parliament: the European Commission’s own ten-year plan for the EU’s economic renewal (Agenda 2020), and the report of the Reflection Group led by Spain’s former prime minister Felipe González (see “Project Europe 2030: reflection and revival” [11 May 2010]). What next? As befits its current mix of achievement and malaise - a world champion in football who cannot pay its bills - those engaged with Europe tend to divide into two camps: pessimists of the intellect or optimists of the will. Perhaps both are half-right: the silent revolution that is EU 2.0 is both a wild ambition and a reality-in-the-making. And like all revolutions, it could yet unravel. The choice of moods is rooted in an ambiguous reality that has evidence for pessimism and optimism alike. The pessimists say that Europe is near the abyss and faces the prospect of irrevocable decline. The eurozone is in tatters, sovereign debt is a real possibility, north and south are split, central and eastern Europe are (despite some bright spots) caught in a post-transition hangover, France and Germany united only in their governments’ concern for the fate of their respective banks. Moreover, the argument goes, the EU’s existential crisis is an augury of a bleak future that will be reality by 2030: growth prospects swamped by inter-generational debt, young unemployed swamped by old retirees, entire industries swamped by Asian competition. A Europe passive and confined by these burdens will be powerless in the face of wider global problems: resource-wars, natural and manmade disasters, exploding global imbalances, refugee waves, nuclear blackmail. The optimists tell a different story. The point to the fact that Europe still generates 20% of global wealth despite having only 7% of the world’s population. Europe, considered in toto rather than in terms of individual nations, has the greatest number of Nobel prizewinners, peacekeepers, green-technology innovations, and the biggest aid donations. In the last half-century it has built a community of law where intimate enemies have learned to share their destiny and many still enjoy Talleyrand’s douceur de vivre - at least relative to the rest of the planet. In the last two decades, Europe has laid the foundation for a post-post-cold-war union. Europe may be a continent in relative decline, but the EU is still - from its energy-grid to its diplomatic service - creative work-in-progress. Again, these contrasting stories are but two sides of the same coin. Together, they mean that Europe has both the incentive and the potential to make the future rather than be passive before it. True, the eurozone tremors appear to shake the collective project to the core; but this would not be the first time, for the EU has faced - and overcome - a number of crises in its almost six decades. In this light, there are three reasons why the current moment should be the prelude to a step-change towards “EU 2.0”. First, Europe’s current crisis is unprecedented in its scope and in the elements it combines. It has a truly worldwide nature, fuses proximate and structural causes with tremendous force, is amplified by the interconnectedness of global financial networks, reveals a monetary union on the verge of collapse, and provokes a surprisingly sudden awareness of long-term relative decline (amounting to the end of 500 years of European - and western - dominance). And yet, this is above all a crisis of confidence, mutually reinforcing between governments and markets to be sure, but one quite disproportionate to Europe’s strengths. EU 2.0 starts from the premise that the European Union - like its citizens - cannot afford to retire. Rather, it needs to respond to the new global challenges as if its life depended on it, while demonstrating that it is mature enough to reinvent itself in the process. Second, for the first time in its history the EU is not driven by a “treaty-change” agenda that requires it to focus energies on (for example) deepening in order to widen, rebalancing big and small states, or empowering the European parliament. This is true even on economic governance, where the real issue is to change the way existing commitments are enforced. Instead it is driven by the need to maintain enduring global relevance. EU 2.0 does not require new grand institutional or constitutional plans, or the familiar tinkering with decision-making processes. The passing of the Lisbon treaty has created a constitutional settlement of sorts, and there is no appetite to revisit other EU treaties. Lisbon may represent a pre-crisis treaty for a post-crisis world - but treaties are also what their signatories make of them. Moreover, contrary to many views on the continent, there is no need for a quantum-leap towards a federal state, a European government or a “transfer union” predicated on a “core” Europe leaving “the periphery” behind. After all, the elements of a “political Europe” exist already in the many uses of pooled sovereignty - such as the shared currency, unified military missions, diplomatic representation, management of borders, coordinated systems of justice. EU 2.0 is about moving the definition of change from greater scope of action (what the EU does) to content and method of action (how it does it). Third, EU 2.0 is about harnessing resources, ideas and agents for change which have not been available to the EU before. Today’s core resources are still about energy and industry - but rather than the coal-and-steel of the early 1950s, in the form of renewables and e-technology, waves and interconnection. Indeed, a 2.0 agenda for the EU involves embracing the internet revolution in its multifaceted dimensions and thus letting new and rising generations make it their own. EU 2.0 is about harnessing human creativity, social innovation and networked collaboration, and considering diversity as a fundamental resource. That does not mean transforming the EU into a continent-wide social network, a Facebook Europe, but about adjusting the way leading actors (politicians, legislators, regulators, diplomats, experts) interact among themselves as well as with the broader citizenship. There is progress, as norms of shared leadership, participation and transparency are all starting to take hold in the EU; but there is a long way to go. On these three grounds, it might be possible to look at the half-century mark commemorated in 2007 in a new light, as the start of a quiet EU renaissance for the 21st century inspired by the practice and language of the 2.0 revolution. The fact that the 2.0 world is global also speaks to the next generation’s concerns. But here is the caveat: for this to happen, European decision-makers today will have to progressively reconfigure the integration process, and replace the old remedies of “deeper-and-faster” integration by a systematic commitment to sustainable integration in the broadest sense of the word. The imperative of sustainable integration stems from a simple fact: the uniquely strong intergenerational divides in Europe today. The combination of long-term demographic trends and chronic short-term thinking in Europe means bequeathing daunting legacies to Europe’s next generation in terms of climate change, debt, welfare, and pensions. European countries invest less in research and education than most other developed countries; their universities are losing rank under the weight of clientelism and closed-shop practices; and they do not encourage risk-taking investors. The result is that they are living on borrowed time and borrowed dime: public debt in the eurozone is now at 78,7%, which means that a European baby in 2010 already owes €21,585 ($27,132) (see Jean-Dominique Giuliani, “Europe, the Crisis, and Spending”, 29 April 2010). The imperative, heard from every corner of Europe - from activists to industrial barons, from the jobless to the planners, from Copenhagen to Athens - follows: we owe it to ourselves not to owe our children. The need to be always prepared for emergency action, a more flexible EU, is indeed a central lesson of this crisis. But it is also urgent to act long-term. That also means changing the way the EU changes: who is asked to adjust and when, how costs and benefits are distributed in society, who bears what risk at what time-horizon. These are not technical but eminently political questions. Sustainable integration is in the air. Like M Jourdain, who spoke prose without realising it, many in Europe are speaking its language, extending its use beyond its original meaning (which related to the human use of natural resources). The European Union summit of June 2010 concluded that assessing the sustainability of the aggregate national debt may be more important than measuring its absolute level. Under the Europe 2020 strategy, the member-states of the European Union set themselves political, economic and social targets for the purpose of achieving "smart, sustainable and inclusive growth". At the beginning of the crisis, Angela Merkel proposed a global charter for sustainable economic activity, an idea still to be fleshed out. Variants around and beyond the idea of sustainable development abound: from sustainable energy to sustainable cities, sustainable innovation or sustainable corporations. In the political realm, many concepts and issue-areas are part of the sustainable-integration mix, albeit discussed under different agendas: socio-economic resilience, institutional robustness, federal durability, resistance to unexpected shocks, policy viability, or sustainable security and sustainable-crisis management. The need now is to connect these ideas. Sustainable integration can be defined as an ethos and a practice for European Union action: both a general state of mind and a specific benchmark that can imbue decisions made in the EU across the board, by public and private actors, states and locality, Brussels and national capitals. It consists in systematically assessing short-term actions against long-term goals, while at the same time eschewing teleology (that is, a once-and-for-all resolution of the nature of the EU as a polity). In short, the sustainability agenda contributes to moving the pervasive conflict over finalité for the EU from polity-and-identity to policy-and-outcome. Sustainable integration does not privilege one level of governance against another: a sustainable European Union supports a more sustainable Europe, more sustainable European economies and welfare states - and vice versa. Indeed, the idea of sustainability is intimately bound up with flexibility in how the states and the union relate. It also takes seriously the view that to insulate political decisions from societies is itself unsustainable in an age of electronic contestation. The EU’s secretive intergovernmental bargains may have their own rationale, but they need to be sustained through public inter-societal bargains. In the EU as elsewhere, institutions must constantly be embedded and re-embedded in the interests of societies that constitute them. When it comes to individuals and groups, sustainability is grounded in principles for collective action (empowerment, emancipation, accountability and responsibility); as well as in the value of horizontal collaboration over both individualism and hierarchy. All of this chimes with the 2.0 revolution, where flexibility must apply not only to the levels of governance referred to above but to its content; where stability is a derivative concept referring to how such systems allow for entry and exit; where resilience and robustness are less built in from the start than a result of adaptative learning on the part of network participants themselves; where contingency plans and mechanisms are always a good idea; where structures of incentives that fail to internalise externalities (such as unregulated free markets) are bound to be destabilising; and where distributed intelligence trumps central command. In short, EU 2.0 means embracing the precept of sustainable integration across the board, under the premises of the 2.0 revolution. This is a world where cathedrals of cyberspace will be cathedrals of the mind, far more intricate than those of stone. And in such edifices, the wisdom of the crowds is far from the demagogy of a new priesthood. There are caveats as always and the 2.0 world certainly has its dark sides, empowering individuals and groups bent on destroying value created by others.. But this is why a sustainability agenda will reappraise European citizenship as an imperative for vertical and mutual empowerment, beyond its current focus as object of rights. This is where the current EU may be found wanting. The very idea of sustainable integration may to some appear tautological; after all, integration towards an “ever-closer union” was always meant to endure. The EU’s normative sustainability has been fine-tuned through decades of mutual accommodation between its courts and its politicians. But sustainable integration is different, for it calls for a focus on the means of endurance themselves rather than on convergence per se. Its reference-point is less 18th-19th-century nation-state-building than the much broader historical patterns of societal collapse, systemic failure and civilisational breakdown. As with 19th-century Sicily, so with 21st-century Europe. Ultimately, securing the sustainability of European integration calls for revolutionary moves and difficult sacrifices. True, there is a lot to lose: Europe’s acquis communautaire, its habits of cooperation, its socially benign market economies, its global market-power. But the point is precisely that these worthy accomplishments must now radically be altered and embedded - socially, politically, culturally and globally. And that this requires a revolution in the European Union towards EU 2.0. This new emphasis on sustainable integration depends in part on the EU’s capacity to turn the issue of its alleged “democratic deficit” on its head. Alexis de Tocqueville famously noted that where the past and the future tend to be an elite concern, democracy is presentist (its other structural flaw being populism, also rooted in people’s unwillingness to choose sacrifice). The resulting short-termism reflects the natural reluctance to swap pain today for benefits tomorrow (or, equally to the point, costs for oneself now for lesser costs for others tomorrow). To a great extent, the continuity provided by the nation-state went a long way to remedy this bias. But governments who steer the ship of state have increasingly been pulled in the opposite direction - not only by the pressure of voters disgruntled by exacting welfare reforms, but by the pressure of global markets and financial operators. This is where the European Union’s emphasis on the liberal rather than majoritarian side of democracy - what people perceive as a democratic deficit - can be seen in a different light. EU institutions and processes - with their numerous checks and balances, and propensity for compromise and consensus - reflect a greater fear of the tyranny of the majority than national institutions. This is the silver-lining from the EU’s lack of short-term accountability, indeed from the indirect nature of its democracy. Since prevention succeeds when nothing happens (hard to sell to an electorate), and since future generations do not vote, a less democratically constrained set of institutions - especially the European commission, whose mission is to uphold Europe’s common good - should be expected to be particularly future-friendly. Sustainable integration implies that EU governance be legitimate and effective over time rather than as a function of electoral cycles. In principle at least, the EU level of decisions makes it easier for national governments to engage in a patient, systematic and intelligent rebalancing between today’s and tomorrow’s political imperatives by lengthening the shadow of the future for the continent’s democracies. The task may be never ending (though as Albert Camus said: “we must conceive Sisyphus happy”). In any case, serious change needs time: the financial crisis and reactions to it have amply shown that governments overestimate what they can change in the short term and underestimate what they can change in the long term. The EU helps lower their discount-rate. There is no single answer as to when to act for the long term and in which horizon (ten, twenty or thirty years?). There are three broad options. In some cases, long-term vision can demand big-bang action: acting immediately because there is a tipping-point or because divergence from the objective increases as action is postponed. This is obvious in the realm of economic coordination for sustainable growth. In other cases, the preconditions for later action when the technologies or mindset are ripe must be prepared. The examples include investment in training for green-growth employment; enlargement; a sustainable immigration policy in Europe grounded on the idea of citizenship of residence (in order to encourage non-coercive circular migration). In yet further cases, there may be a window of opportunity open within (say) a five-year period to set out on a desirable path which may otherwise be irrevocably closed. The window may characterise many issue-areas, from upholding Europe’s lead on green innovation and “clean nuclear”, to building digital Europe and the knowledge economy. There is much that can be done (short of more radical moves, such as giving children the right to vote) to increase the EU’s future-friendliness, its sustainable integration culture. The art of back-casting would become second nature to the EU, and it would make full use of instruments - sequencing, experimenting, contingency-planning or delaying - which extend the “shadow of the future”. EU leaders in both the public and private sectors would demonstrate long term commitment to decisions taken through the systematic conduct of ex-post accountability and lessons learned exercises –a campaign currently waged by the EU ombudsman. And for every action the EU takes or fails to take, an impact assessment of “non-Europe 2030” is possible. Moreover, in order to be better equipped to think about long-term strategy, Europe needs to create an effective network between national-forecasting units in the member-states - one capable of connecting with its sister institutions, like the NIC, around the world. But a tension remains. A role such as “guardian of sustainable integration” could itself turn out to be itself unsustainable for the European Union and its institutions. Social sustainability requires embedding political decisions in social contracts, whose trade-offs are part of a wider public conversation. Sustainability can only be predicated on recognition of the legitimate struggles of those who remain marginalised. A first step would be for “institutional EU” to engage more systematically with the actors and the arguments of “sceptical EU” and shift the burden of proof for EU action onto EU officialdom rather than only its critics or those who dare vote “no”. As Benjamin Disraeli wrote in his novel Coningsby (1844), “no government can be long secure without formidable opposition.” Sustained contestation and dialogue is part of sustained integration. There is little hope of this if the EU function is merely that of the traditional scapegoat (the International Monetary Fund can afford to remain a scapegoat precisely because it is not at the same time trying to be a “community”). And if the EU plays Cassandra, the bearer of bad forecasts, citizens might by turns accuse it of alarmism and complacency. So it may be more viable in the end to frame sustainability in pragmatic terms. Local vs global There are inevitable trade-offs in terms of resources between Europe acting globally and tending its own garden; and some member-states are more reluctant than others to invest in being a global player. But sustainable integration requires making the case for fluid boundaries between policies within and policies without. Acting globally can no longer be a residual concern, an external outlet for internal rivalries. Instead, the global picture must inform all Europe’s actions. The case must, however, be repeatedly made that acting global starts at home. Most obviously, Europe’s global ambitions can only be served via sustainable growth throughout the EU. Tomorrow’s equivalent of the Copenhagen climate-change conference will also fail if Europe does not put its own house in order. Indeed, much can be done on global environmental governance through the gradual externalisation of Europe’s own practices, starting with the emission-trading system. There are other examples, such as the EU’s long-term asymmetric dependency on Russia (surely a direct function of Europe’s domestic energy policies and its failure to systematically apply competition rules in this field) and the separation of the tools and competences through which Europe tackles internal and external threats. Europe’s Muslim neighborhoods both in its suburbs and around its frontiers should not be treated as separate universes. To act by example rather than preaching to others outside Europe’s borders requires effective regulations and high standards in the domestic enforcement of the rule of law, labour and minority rights. Such consistency in turn requires ongoing vigilance - an exacting theme that echoes Francois Duchêne’s argument that Europe’s new contribution to the world would be to domesticate foreign policy. In general, EU institutions and Europe’s leadership must systematically consider both each internal policy implication of external objectives, and each global dimension of domestic action – starting with energy, security and migration policies. Decision taken at the EU level should contain such a “synergy-test”, which could be monitored by a unit in the new external-action service. Growth vs limits A pervasive yet potentially creative tension across the EU pits unconditional advocates of growth against the many variants of the “limits” worldview. With the Enlightenment, the critique of progress came hand in hand with the passionate belief in its universal reach. And of course, the definition of progress itself is highly contested in Europe as elsewhere. Those who see the EU as a giant supermarket and an ethical hazard wedded to materialism define progress in a different way from establishment EU politicians. If it is possible to square this circle, a culture of sustainable integration needs to turn limits into horizons. “Green growth” is one of those horizons. Today’s debate, which counterposes “expansion now” vs “fiscal austerity now”, is conducted on both sides in the name of sustainable public debt and sustainable growth. Joseph Stiglitz is right to point out that a lot of money has been spent on trying to preserve the status quo, rather than preparing western economies for the inevitable emergence of a fundamentally different economic and ﬁnancial world. To do the latter means supporting the worst-hit as a way to buy structural change. More broadly, Europe’s sustainability agenda requires keeping fate in human ingenuity and capacity to adapt against Malthusian prediction, supporting long-term investors in the EU, public and private, and thus concentrating minds and resources on sustainable innovations of all sorts - technological, social, organisational. Savers vs spenders The disputes over the eurozone’s financial rescue involved (as the Economist’s Charlemagne columnist notes) a clash of social contracts and democratic preferences. In the case of the spat between Germany and Greece, the paradigmatic tension is between savers and spenders; or between the member-states’ different ways of buying social peace - through (on one side) social-monetary stability and corporatism and (on the other) public spending and clientelism. The resolution of such issues must involve the societies in question understanding that integration can only be sustainable with a high degree of diffuse long-term reciprocity. Moneys may be lent, but the wider question is whether the inter-societal contract involved in the economic governance of a “Euro-that-cannot-fail” is sustainable. An abstract belief in “European integration as solidarity” cannot be a substitute for rationalising solidarity in a way that is clear to all sides. Germans need to believe that in the end, they are committing themselves to “profitable altruism” - not simply of the negative kind (to avoid a worse outcome in the future) but also of the positive kind (because the euro has created profitable markets for German firms). And Greeks need to be helped to trade their way out of this crisis. Sustainable solidarity must go hand in hand with transparent, enforceable, sincere responsibility by all (this is also where the internet can help as prime minister George Papandreou’s commitment to publish the Greek budget online testifies). When debt restructuring comes, societies on both sides need to feel that they lose less than would otherwise have been the case. Openness vs closure More broadly, the European Union’s deficit of social legitimacy across the member-states lies in great part in the fundamental asymmetry of the European socio-economic project: between the protective-solidarist functions upheld by the (welfare) state and the competition function upheld by the EU. This unholy division of labour may make sense in many ways, but it risks being further exacerbated as the EU increasingly takes on the function of a “budget police” in the eurozone. Sustainable integration demands greater attention to the optimal balance between two imperatives: openness (allowing for cross-border freedom of movement) and closure (creating enough sense of we-ness among people to sustain feelings of solidarity, which underpin redistributive justice at the national level). In this realm, the EU’s strategy of accommodation has been to impose minimal duties on access to welfare-state provisions for non-nationals, while limiting transnational redistribution to the realms of agriculture and regions (but not individuals). If this logic has become unsustainably lopsided, the EU will need to engineer a new bargain between those who worship at the altar of free movement and those who (back at the farm) insist on levelling the playing-field. In fact a renewed sustainable balance between the principles of openness and closure needs to be struck not only within the EU but also with its neighbourhood and at the global level. Federal overreach vs state shirking How does this translate in institutional terms? In the end, political sustainability rests on citizens’ view of the legitimacy of the demands and constraints made in the name of “integration” - both vertically (from Brussels) and horizontally (from other member-states). The key to a durable EU system of governance, including its monetary union, will be to constrain at the same time the two main sources of instability usually associated with federal systems: namely state shirking and federal over-reach. These two are mutually reinforcing. In federal systems, shirkers are tempted to free ride when they can remain unseen or unpunished; this “tragedy of the commons” is often addressed through increasing federal authority. But the federal then tends to overreach, and as constituents revolt - against either the free-riders or the centralisers - the system implodes. To create a steady equilibrium requires an acknowledgment that the informal norm of consensual decision-making is key to sustainable integration, and thus resisting the majoritarian temptation (founded on insecure social contracts in the opposing states). It also calls for the adoption of empowerment strategies. Power is not a zero-sum game. The EU could, for instance, make possible the monitoring of government action (budgetary or otherwise) by their own civil societies or by parliamentary transparency and decentralised accountability; it could explore experimental forms of governance which privilege horizontal rather than vertical transfer of sovereignty; and it could entrench the participation norm at all levels of decision. Convergence vs differences Perhaps the deepest ideological tension in the European Union has always been that between federalists (who emphasise the need for convergence and homogeneity) and sovereigntists (who draw value from differences). Hopelessly trying to reconcile these two sides of its personality, the EU is a schizophrenic power, proud to be a “different kind of actor” in world politics yet yearning to look like other states on the block adorned with the traditional paraphernalia of statehood: one people, one territory, one voice and one story. Sustainable integration demands strategies of accommodation between these poles that are more than middle-ways: seeing the EU as a demoi-cracy in the making (that is a community of others engaged in a highly demanding exercise of managed mutual recognition); restraints on the bigger member-states against the temptations of marginalising smaller ones; shared EU leadership (among states and institutions, and between the national and European levels); in the legal field, using constitutional pluralism to eschew absolute normative hierarchy and strict supremacy; and externally, accepting that several voices can speak for Europe as an “orchestrated polyphony” as long as they are able to deliver Europe in specific instances. The wider need is for interconnections, infrastructure and strategic thinking to turn mere differences into complementarities. This basic concept underpins plans for a Europe-wide renewable-energy grid that could exploit the complementarities between windy northern Europe and sunny southern Europe, early birds in the north and all-nighters in the south. And in discussing the economic governance of the eurozone, sustainability implies that states must decide more clearly where they need to converge, and where freedom to act is necessary for diversifying risk and enabling trial-and-error innovation. These various strategies of accommodation all relate to the fundamental ethos of a 2.0 world, one where value emanates from distributed intelligence, synergies and polycentric networks. The European Union needs to turn “unity in diversity” into more than a pretty motto in order to achieve sustainable integration. There are two forms of wishful thinking in Euroland: a transcendental kind that inflates expectation, and a pragmatic kind that channels expectation. EU 2.0 is pragmatic wishful thinking. It is possible and it would make sense. What will it take? Patience To entrench sustainable integration will take perhaps a decade. The European Union will continue to react and evolve during this period - more or less effectively, as demonstrated by both the creation and the limits of the €750-billion ($975 bn) stabilisation-fund which in May 2010 allowed its leaders to step back from the brink. The mix of elements that bolster it - fear and hope, sheer arrogance and continued eurocentrism, Europe’s unilateral-universalist DNA, idealism for the European project, electoral calculation, or simply bureaucratic and diplomatic activism - ensure that it will not go, neither with a bang, nor a whimper. Any change in the EU will be slow - but must be steady. Its incremental character in euroland is precisely because so many actors with veto-power are involved in decisions. The European ship is heavy and clumsy, and moves on its own momentum. It is kept afloat by thousands of daily decisions (and indecisions) echoed in train-corridors and translation-booths. So there will be no staggering u-turn, no new grand bargain or single moment of reckoning. What needs to be adjusted is the background music, the mindset, the ethos which sets the general mood. To bring sustainable integration to the centre of its concerns is to a great extent silent revolution as silent evolution. If EU actors fail to make the deals necessary to underpin it, and panic over the next debt-restructuring or the next agency-rating downgrading, it will unravel. Recognition Integration can only be sustained by embracing the spirit of “unity in diversity” with all its implications. Europeans must partake wholeheartedly in the spirit of mutual recognition, which combines tolerance and engagement by embracing each others’ differences; asking how to create value from complementarities; and helping each other compensate for the pains of interdependence. There are as many European stories as there are Europeans. Europe is found on the football pitch, on the web or in the Prado, in Erasmus students’ and their oyster travel-cards and Erasmus studies and their library-cards, in haunting memories and protective laws, in the comfort of the settlers and in the rights of the nomads. Europe is found in all people still aspiring and struggling, in their imperious demand for recognition and justice. Indeed, despite the myriad of stories, the thousand shades of preference or indifference, there is something European about all of us Europeans - especially when we look at ourselves from the outside. But instead of harnessing this potential, more often than not we squabble. 500 million musketeers who have forgotten their “one for all, all for one”? Ambition It is time to proclaim to ourselves and to the world that we are here to stay, that the European Union has been built to last, that it will continue to stagger and experiment with its own fate - but that it will not fall into the kind of irrelevance that too many fear or applaud. After more than fifty years of consolidation and expansion on the European continent, we can make it our ambition for the next fifty years to make sure that Europe contributes effectively to the governance of the planet as well as its bit of it. As the EU leaves its institutional disputes behind, as it slowly consolidates is capacity to act effectively on the world stage, and as it progressively learns to master sustainable integration, it can surely partake in the 21st century. The journey is only beginning.